Lyn Gillett is a professional singer and singing teacher with vast experience as a performer and singing teacher in all styles of contemporary music. With a special interest in vocal health, Lyn Gillett offers contemporary singing style teaching and vocal coaching. Lyn Gillett is a qualified singing teacher and vocal coach. She is the recipient of the Griffith Award for Academic Excellence (1999), Queensland Conservatorium, Griffith University, for her completion of post graduate studies in Vocal Pedagogy ensuring that singing students are being taught by a qualified ethical professional, with over 25 years of professional vocal performance experience. 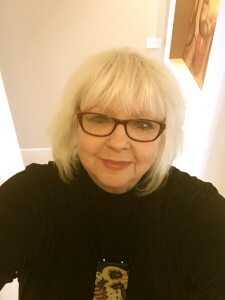 As a member and Mentor with ANATS (Australian National Association of Teachers of Singing), Lyn Gillett is continually informed of new developments in Voice Science, Vocal Coaching and singing techniques, and regularly attends and participates in Conferences, Workshops and Voice Seminars with National and International leaders in her field. Winner of Entertainer of the Year – Jazz Solo Artist 2000 – People’s Choice Award, Sunshine Coast, Queensland. Brisbane City Hall “Music at Mid-day” concerts, with a variety of Brisbane’s best jazz musicians. Compere and performer at Jazz on the Beach Festival Mooloolaba for 12 years. Featured as guest artist performing with a variety of the best of Australia’s jazz musicians at Brisbane Jazz Club, Queensland Jazz Carnival and Noosa Jazz Festival. On arrival in Melbourne, Lyn began performing with Jazz Pianist Roger Williams. During this time she continued to teach and conduct master classes in vocal health. Learn more about Lyn Gillett Voice Studio.